The vastly standard WISMEC Presa TC100W has all over again received a robust upgrade. one in all the primary devices to return from WISMEC, the Presa began its life as a palm-sized 40w Variable power device. Its super sleek, distinctive profile was an immediate hit for the corporate, therefore it’s no surprise that the Presa has undergone varied upgrades. 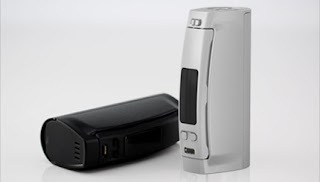 The WISMEC Presa 100W TC is that the pinnacle mod within the WISMEC line.